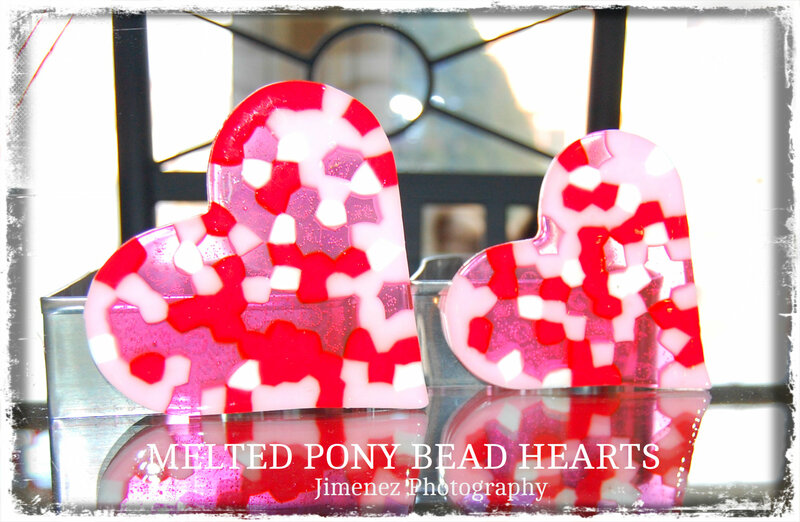 This entry was posted in Crafts, Valentine's Day and tagged Craft Projects, DIY, heart cookie cutter, heart shaped cookie cutters, Hearts, How To Make Hearts by Melting Pony Beads, Melting Pony Beads, Pony Beads, Pony Beads Hearts by Nikitaland. Bookmark the permalink. Omg for the life of me…..I can’t get the beads out the cookie cutter without them breaking. How did you just “pop” them out??? You used metal cookie cutters, right? 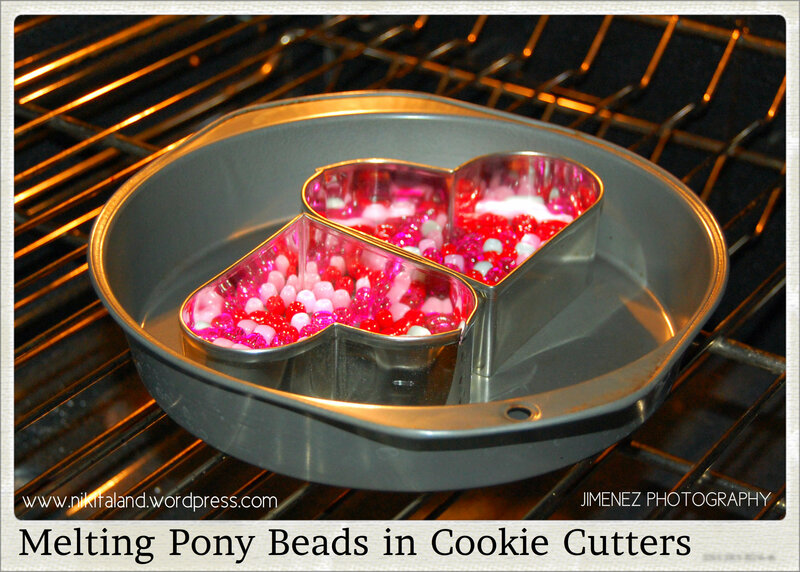 All I did was lay my metal cookie cutters on a cookie sheet, fill them with the pony beads, and melted them in the oven. They came out with no problems! I did not even have to spray the cookie cutters either. Oh wow….I did the same thing. But I have the small cookie cutters….maybe that’s the problem. Thank you for responding!!! 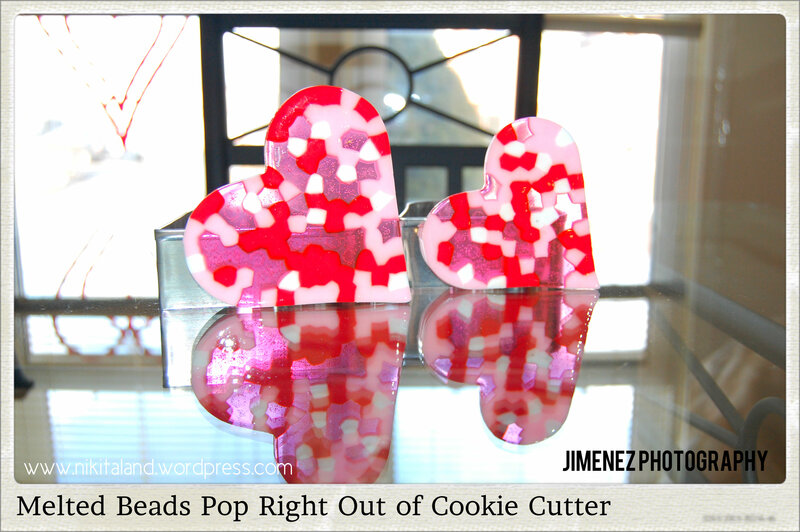 I have used some small cookie cutters too, like the small heart I made in this post. I also made a really tiny heart, and used all red pony beads and made a necklace with that heart. 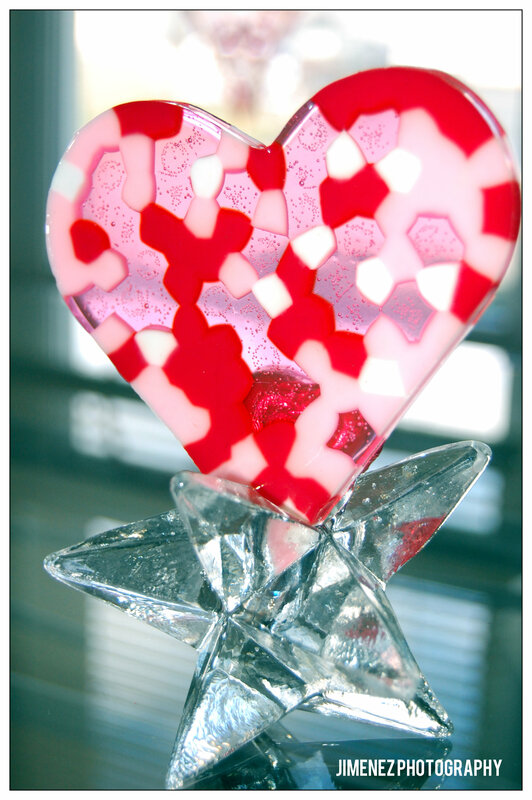 (I love hearts) I am shocked that yours got stuck in the cutter when mine did not! Hmmmm. Did you leave them in the oven too long? I probably did because the red beads that I used was harder plastic than pony bead plastic….😰😰😰😰 So cooking too long can make them stick? Holy CRAP what a great idea! I am sooooo “in.” Thanks for the great idea! What are pony beads? are they a special type of bead, I have never heard of them over here. Pony Beads are just round little plastic beads that kids use to make crafts, like a necklace or bracelet. But I found out that you can melt them into cool crafts! This is my favorite so far girlfriend…nothing but love! All you need is LOVE! Even my Sweetie loved these too!